The process of contesting a will involves challenging the validity of a last will and testament that has been created by a deceased person. The process occurs during probate and it can be a complicated one, but it could result in a will being declared invalid and not being probated. In the right circumstances, contesting a will may be a necessary and appropriate course of action following a death. Nirenstein, Horowitz & Associates can provide assistance with contesting a will and can help you to maximize the chances of a successful will contest. 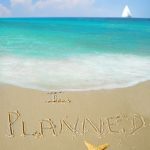 To find out more about whether you should contest a will and about the process that contesting a will a entails, give us a call to talk with a Connecticut probate lawyer. You should call as soon as possible after a death so you can begin the court process and start working with your lawyer to develop smart legal arguments to maximize the chances of a successful will contest. Your attorney will explain the pros and cons of contesting a will and help you to decide if you want to go forward. 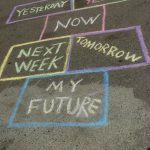 Making sure that the wishes of the deceased are respected: If the will is not actually a reflection of what your deceased loved one would truly have wanted, then contesting a will gives you the chance to stand up for the person who passed away and who deserves his or her inheritance to go to loved ones. Preventing an inheritance from going to someone who coerced or defrauded the deceased: Sometimes, caregivers or others will manipulate a person into changing a will at the end of his or her life. You don’t want someone to benefit from using fraud or illicit tactics to convince a vulnerable person to change a will. Increasing an inheritance: If you successfully challenge a will, you may be able to increase the amount of money or property that you inherit. These advantages exist only if you truly believe that the will is not a valid one or that its creation was inappropriate, and the advantages only exist if you are successful in challenging the validity of the will. 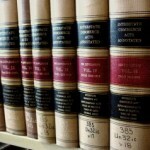 Cost: The probate process is already expensive. Contesting a will can make the probate process take much longer and can make the process much more costly. 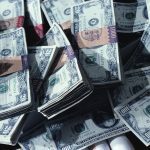 The possible loss of an inheritance if there is a no contest clause: If there is an in terrorem clause or a no contest clause in the will and you challenge the will, there is the potential that you will forfeit your inheritance. No contest clauses are usually enforced, although not always. For example, in Stewart v. Ciccaglione, the court didn’t enforce such a clause because there was a reasonable and valid basis for raising a challenge. In that case, it was a challenge to a trust, but similar principles could apply when a will is challenged. 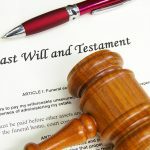 The potential for disharmony among family members: If you contest a will, your family members who want the will to be enforced could become angry. Estate litigation often tears about family relationships and sometimes creates permanent rifts. 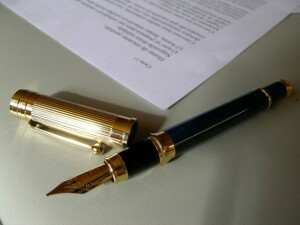 You should contest a will only if you believe that you can make a substantial legal argument that the last will and testament is not a valid and true reflection of the wishes of the deceased and/or if you believe you can make a substantial argument that there is something wrong with the will so probating it would not be appropriate. An experienced attorney can assist you in reviewing the will and the circumstances surrounding the creation of the will so you can determine whether contesting the will is a good idea or if the downsides of contesting the will are not worth it. Nirenstein, Horowitz & Associates has provided assistance to many clients interested in contesting a will to make sure that the wishes of the deceased are respected after a death. 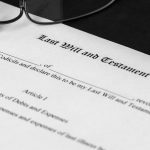 We can also represent the executor of an estate and heirs or beneficiaries who wish to defend the validity of a will after a will contest occurs. To find out more about the probate process and about what happens when a will is contested, join us for a free seminar. You can also give us a call at 860-548-1000 or contact us online for personalized advice from a Connecticut probate lawyer.